Versatile woven interlining for small parts of blouses and shirts. 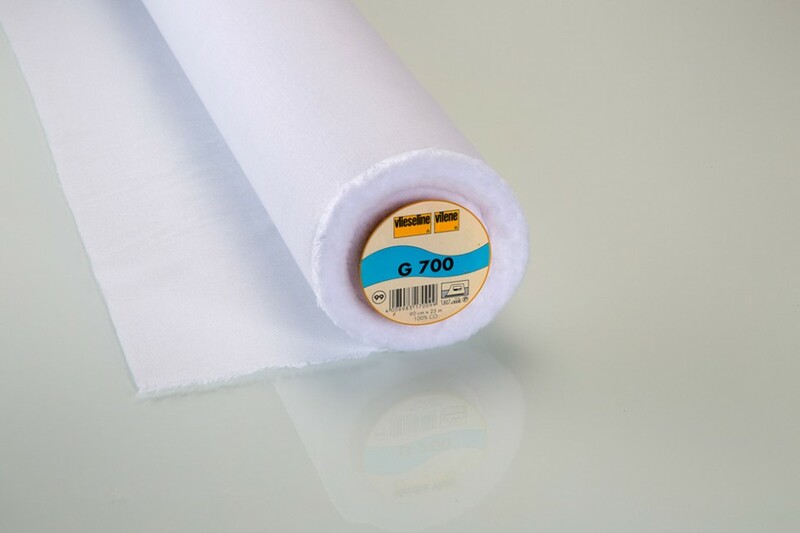 Ideal for light weight to medium weight fabrics. Washable in temperatures up to 60 degrees. Retains shape. To use, like all interfacings made by Vilene, the interfacing is always cut in a lengthwise direction, and thereby follows the grain of the fabric. Place the interfacing with the coated side on the wrong side of the fabric. Cover with a damp cloth and press each area for about 12 seconds, without moving the iron. Iron setting: Cotton. Allow the pieces to cool flat for about 30 minutes, so that the adhesive can set properly. We strongly recommend that you attach a small piece of interfacing to a fabric remnant with your iron first to make sure that the hold and the adhesion meet your expectations.